Close quarters [electronic resource] : a Michael Vaughn novel / Emma Harrison. Material type: BookSeries: Prequel series: Publisher: New York : Bantam Books, 2003Description: 1 online resource (184 p.).ISBN: 9780375890413 (electronic bk. ); 0375890416 (electronic bk. ).Other title: Alias [At head of title:].Uniform titles: Alias (Television program) Subject(s): United States. Central Intelligence Agency -- Officials and employees -- Juvenile fiction | Presidents -- Assassination attempts -- Italy -- Juvenile fiction | Intelligence service -- Fiction | Presidents -- Italy -- Fiction | Vaughn, Michael (Fictitious character) -- Juvenile fictionGenre/Form: Young adult fiction. | Electronic books. | Spy stories.Additional physical formats: Print version:: Close quarters.DDC classification: [Fic] Online resources: Click here to access title or place hold | Image Summary: Newly-minted CIA officer Michael Vaughn has to keep tabs on Marianna, daughter of Italy's president. 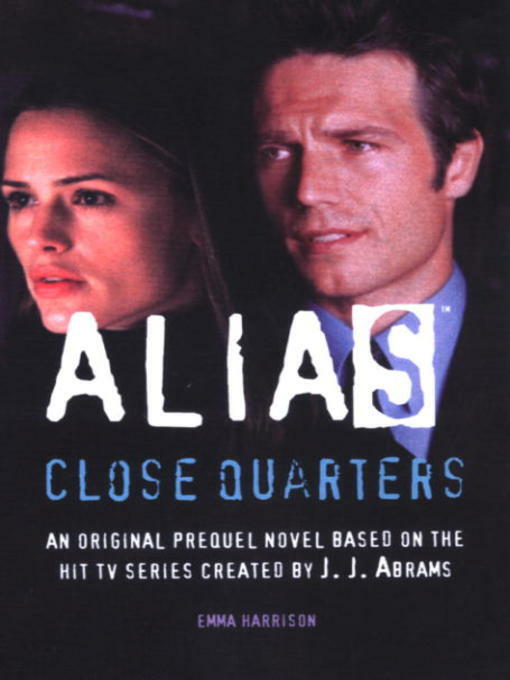 "An original prequel novel based on the hit TV series created by J.J. Abrams." Newly-minted CIA officer Michael Vaughn has to keep tabs on Marianna, daughter of Italy's president.